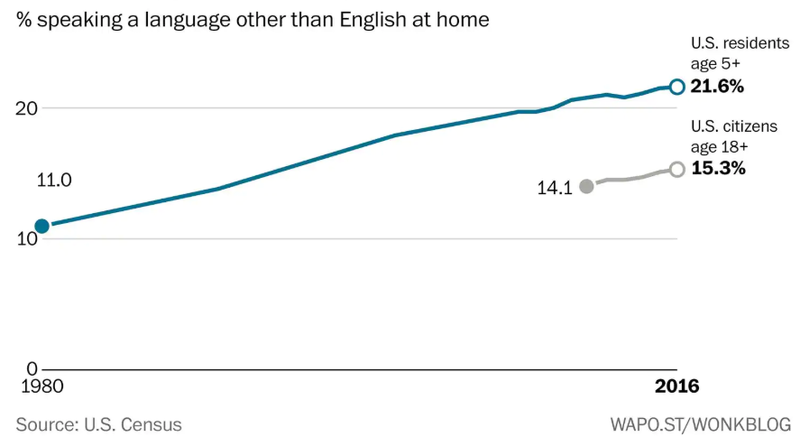 CNN: “Speaking English” limits immigration to people from Great Britain & Australia … say, what? In case you missed it, abrasive Trump policy wonk Stephen Miller got into a heated exchange with CNN’s Jim Acosta. Miller was briefing the press on President Trump’s RAISE Act, which would move critical skills immigrants to the head of the line and require that immigrants learn English before they come to the United States. “I have to honestly say, I am shocked at your statement that you think that only people from Great Britain and Australia would know English”. I’m into infographics these days and, earlier this week, a friend sent me a great one. Initially, I was just intrigued by the infograhic’s structure and style. Suddenly, its content has taken on a higher relevance. Below is a the featured component of the infographic — a cool pie chart that proportionately depicts the “world’s most spoken languages”. English is the modestly sized yellow section in the top left corner. Point to CNN’s Acosta, right? Not so fast, mes amis. Let’s look at a couple of other parts of the full infographic …. Some folks can stand to listen to the President talk … and some find it refreshing. Swain says that Trump — nnlike most politicians –doesn’t speak in political rhetoric; he speaks in punchlines – short jabs, not convoluted passages. He lays it out there and let’s you buy in or opt out. Since the debate is coming up, it’s time to pull from the archives …. Swain says that Trump — nnlike most politicians –doesn’t speak in political rhetoric; he speaks in punchlines – short jabs, not convoluted passages. Trump’s speech last night had some clear takeaways: (1) law & order (2) anti-terrorism (3) outreach to both LGBTQs and Evangelicals (4) dignity and economic hope for the working class. The speech was civilized .. which was probably disappointing those folks who were rooting for a crash & burn. 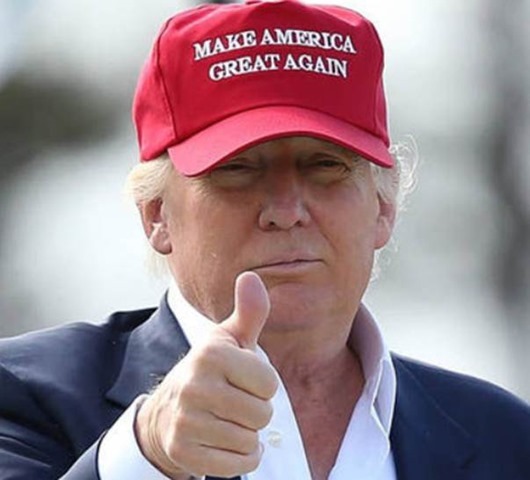 My opinion: he came across as a credible “blue-collar billionaire” … has genuine empathy for the working class …. still, a bit rough around the edges. Breaking: CNN “snap poll” reports that 74% of viewers had a favorable reaction to Trump’s speech.